​What is the Technology and Form Program? Since this practice opened 8 years ago, 1-to-1 Pediatrics has striven to provide the highest quality personalized care using the current technology available. 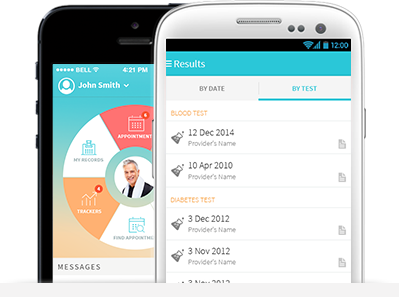 The Technology and Form Program will provide our patients the ability to interface with Drs. Nash and Borden and our staff in a convenient and seamless way outside of scheduled appointments. By signing up for the program, patients and families will be able to obtain advice regarding health concerns, e-mail questions or photographs, request refills of regularly prescribed medications, and communicate with the office regarding any other topic. 1. Advice calls with the staff and Drs. Nash and Borden during office hours. 2. Refills of regularly prescribed medication electronically. 3. Form completion (for preschool, school, camp, sports, etc.) sent via OhMD app. 4. Prior authorization requests for medications through insurance. 5. Letter writing for school, PE excuses, insurance authorization, etc. 6. Texting access via OhMD for questions via HIPAA secure electronic environment. Questions will be answered during normal business hours. How much does the Technology and Form Program Cost? Why does 1-to-1 Pediatrics have this program? As we all celebrate the 8th anniversary of our unique pediatric practice, there remains continued pressure from managed care and insurance companies to provide more rapid care to a greater number of people. 1-to-1 Pediatrics was founded on the principle of providing the highest quality of personalized care to families who sought out and appreciated this kind of individualized service. However, providing many of these services comes at a price. Providing assistance and diagnoses via telephone and electronic media reduces the number of office visits required—a plus for patients. The use of technology makes treatment of simple medical problems and behavioral questions more convenient for parents, but this also requires time from the doctor and staff. By signing up for the program, patients and families will have access to all of the services and conveniences that allow us to provide the highest quality pediatric care to your family while reducing the time spent in the office. What if we choose not to sign up for the Technology and Form Program? If you chose not to participate in this program, you can continue to have regular appointments for check-ups, sick visits, etc. If you have a question or concern that needs to be addressed, you will be required to make an appointment for an office visit. Refills of medication and form completion will also require a scheduled office visit. Your medical insurance will be billed as usual and normal copayments and co-insurance will apply. Frankly, this is what traditional health insurance wants you to do. It is not the most efficient or convenient way to obtain care. I am hoping that the patients of this practice understand and appreciate the benefit and need for this program. It is my goal to continue to provide comprehensive care for patients utilizing telephone and electronic media. In participating in the Technology and Form Program, parents are taking an active roll in their child’s care and ensuring control over convenient access to the highest quality pediatric care. Sign up for the Technology and Form Program Today!